For the first time ever, the Florida Atlantic University Owls are Conference USA champions. It is not the first conference championship for the school as they went on to win the Sun Belt in 2007, but after three-straight seasons with a 3-9 record and being without a winning record since 2008, Saturday’s 41-17 victory against North Texas feels all the more sweeter. For those players, especially the ones who have been with the program for years, getting the championship trophy is something they have been waiting for and something there have put a lot of effort into achieving. 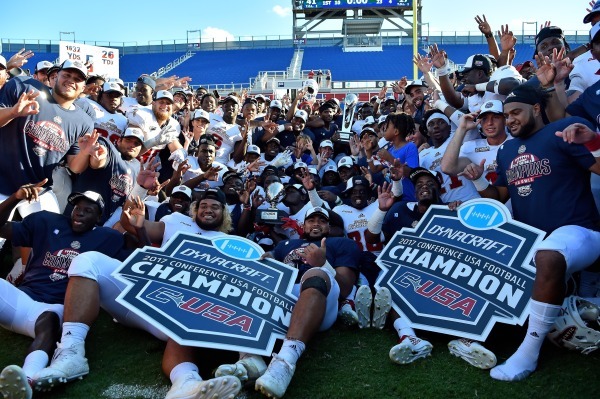 The Owls finished the season with nine straight victories heading into their inevitable bowl game, reaching double digit victories for the first time since they won 11 all the way back in 2003. The main highlight of the team has been its offense, which continued per the norm throughout the first half. FAU got off to a hot start, scoring five times before halftime. A field goal from Greg Joseph and 22-yard pass from Kamrin Solomon to John Franklin III gave the Owls a 10-0 lead by the end of the first quarter. Another field goal and two rushing touchdowns from Devin “Motor” Singletary then put the Owls up by 27. North Texas did start to put on some pressure during the third quarter, however. After FAU extended their lead with a 54-yard Kalib Woods touchdown, the Mean Green responded with their first two scores of the game, bringing the score to 34-9. The Owls’ drought continued to start off the fourth quarter as Evan Johnson ran the ball in to set up a two-point conversion attempt. Quarterback Mason Fine quickly got pushed back by the Owl defense, resulting in a Hail Mary pass to a mob in the end zone. After bouncing off of multiple players, the ball landed almost perfectly in the hands of the Mean Green’s Rico Bussey. With the score at 34-17, FAU finally started to move the ball forward again, resulting in a five-yard run by Singletary, ending the scoring at 41-17. 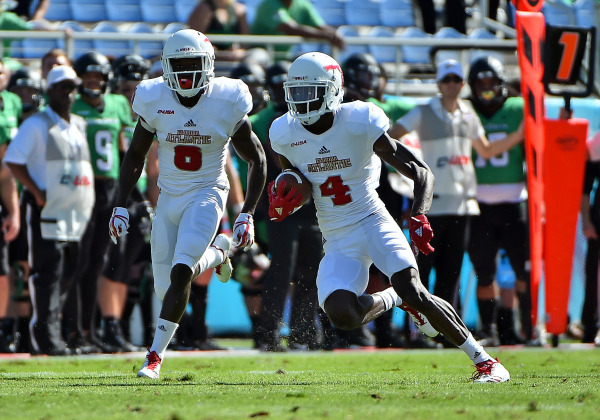 Singletary tied the C-USA record for rushing touchdowns in a season on the play, which is now an honor he will share with FAU running backs coach Kevin Smith. Smith set the record of 29 in 2007 with UCF. It looked like the Owls had one more touchdown in them with the minutes winding down as Franklin burst through the defense and into the end zone, but his celebration came a bit premature. He dropped the ball a half-yard before crossing the line, resulting in a fumble after the play was reviewed. 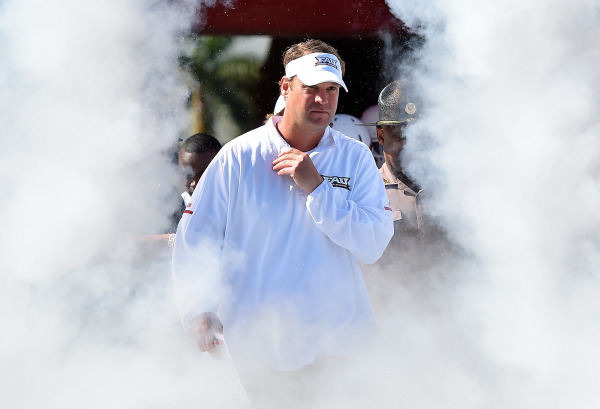 The players did not let the mistake dampen their spirits however, as they celebrated by giving Kiffin a Gatorade bath before fans rushed onto the field. Woods went on to be named the game’s Most Valuable Player after breaking the program’s single game-record of 208 receiving yards. Now the Owls await the news of which bowl game they will be a part of, because after the season they’ve had this year, they do belong.